The governor appointed Attorney General Ashley Moody to chair the statewide task force, which will develop a strategy and make recommendations. The Office of Drug Control will support the task force's efforts. Moody said Florida loses 17 people a day to the drug crisis, including one on Monday in Seminole County, where the announcement took place. These efforts will help the people "who are fighting in the trenches on a daily basis have the tools and resources they need not only to prevent people from becoming addicted but to go after the drug organizations that seeks to poison our children and citizens," Moody said. The drug control office will coordinate with state and federal officials in leveraging resources to reduce opioid abuse. Various state agencies already have substance-abuse programs but the Office of Drug Control will centralize those efforts so Florida can act with a unified vision, the governor said. "The opioid epidemic has devastated families and communities throughout our state," DeSantis said during a news conference at the Sanford Fire Department. "These are issues that require serious, comprehensive action." Former Gov. Jeb Bush established the Office of Drug Control in the late 1990s as one of his first acts as governor. Bush's daughter, Noelle Bush, battled addiction and had a stint in Florida's drug court program. Former Gov. Rick Scott dismantled the office as one of his first acts as governor more than a decade later. Despite calls to re-establish the office as the opioid epidemic grew worse this decade, Scott never did, and it became a priority for Moody as she campaigned for office last year. 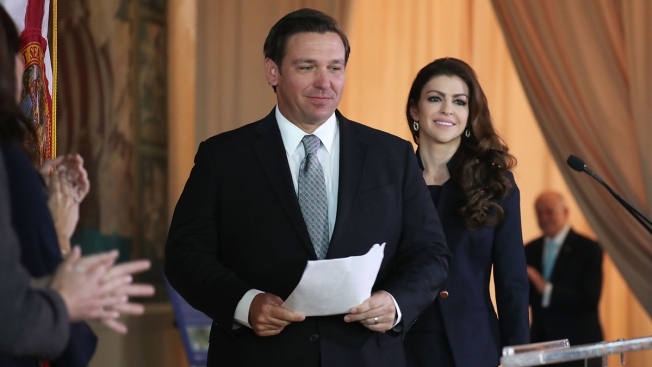 "This office was discontinued several years ago but the importance of restoring its functions couldn't be more obvious given the circumstances before us," DeSantis said. DeSantis also said Florida has secured an additional $26 million in federal funding for the state's opioid response project. At the news conference, the governor also announced Dr. Richard Rivkees as the next Florida Surgeon General. Dr. Gary Goodman, an emergency medicine physician in Seminole County, said he sees more than a half-dozen overdoses each day and most of them require critical-care attention, like a ventilator. "If they can give us an opportunity to take care of patients in Florida a lot better, it's going to make our days a lot easier and patient survival a lot better and a lot higher," said Goodman after the news conference. "I'm thrilled."